immigration in the Supreme Court? Kavanaugh is a right-wing judge, that is, conservative within the lexicon of American politics. His academic and personal formation are marked in a significant way by the Catholic Church. He attended a high school established by the Jesuits in 1789. (Georgetown Preparatory School in Maryland.) He got his undergraduate and law degrees at Yale University. He continues to attend his church regularly and has volunteered at a Jesuit school in Washington, D.C. He served as a judge on the U.S. Court of Appeals for the D.C. Circuit before being nominated by Trump to the U.S. Supreme Court. His legal and political positions, seen in these places and in his subsequent jobs, align him with the right or conservative wing in this country. But we should not dismiss Judge Kavanaugh as someone who, because he is “conservative,” will always vote against immigration. Several points indicate there is more to him in this area. First, his Catholic education and practice allows us to think that he has a humanistic and humanitarian vision. For example, one of the great protectors of immigration in the United States is the Catholic Church (Catholic Charities is good example of this) and, presumably, Kavanaugh shares those values. Second, that he is “conservative” does not imply that he is anti-immigrant. We understand that being “conservative” implies advocating for less presence of the state within the lives of people, less spending in the public area, and a decrease in the regulations and agencies that impose them. Then, where an agency tries to expand its powers, a “conservative” judge like Kavanaugh will oppose the violation or expansion of those laws. This can be good in immigration because it would limit the power of the agencies involved such as USCIS, ICE, and CBP. Third, his line of decisions in the DC Circuit was the same as that of Judge Merrick Garland, nominated by Obama to the Supreme Court. This may be interpreted as parity between Kavanaugh and Garland. Noting that it was Barack Obama who created DACA and allowed the use of procedural discretion in removal (deportation), an absolute conclusion that Kavanaugh will be bad for immigrants is premature. Of course, there are also negative points that could indicate the contrary. In a case related to immigration, Judge Kavanaugh took the side of the government. Immigration wanted to prevent a minor immigrant in immigration custody from having an abortion. Leaving aside the issue of the termination of a pregnancy, the tone Kavanaugh took regarding immigrants was not great. Responding to the opinion of court, where most judges voted to approve the procedure, he said that by doing so, these justices, “were creating a new right for immigrant minors without legal status who are detained by the state to obtain an abortion immediately upon request.” Again, his tone was probably influenced by such a sensitive topic, but he should not have expressed himself negatively about the immigrants because of the subject matter. He also undertook decisions that restrict immigration in areas related to labor law and the hiring of specialized employees. However, these decisions were based upon technical reasons and not due to an anti-immigrant spirit. Ultimately, we do not have a clear position regarding immigration from Justice Kavanaugh and how this will evolve in the Supreme Court. A window to his future behavior occurred in October of last year when it was discussed in the Supreme Court if an immigrant was entitled to bail when the law said his detention was mandatory. Kavanaugh interpreted the 1996 law as one where Congress intended to toughen immigration laws. This, however, does not mean that Kavanaugh is anti-immigrant. In effect, the law, The Illegal Immigration Reform and Immigrant Responsibility Act of 1996 (IIRIRA or IIRAIRA), is one of the most restrictive laws that exist and the Congress of the United States clearly had the intention to toughening immigration laws. That is, Kavanaugh was neutral and presented his interpretation of what Congress wanted to do with that law, leaving his personal position aside. It remains to be seen what Kavanaugh will say when immigration laws seek not to sanction but to ensure family reunification or refugee protection. Will he interpret the intention of the Congress accordingly? What remains is an imperfect idea of Kavanaugh as far as immigration goes. 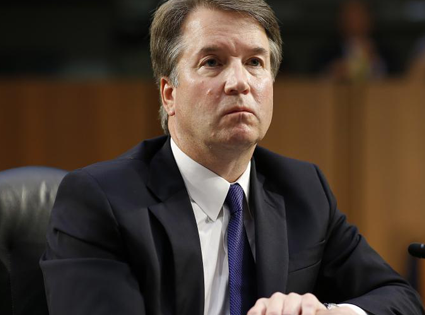 So far, his decisions in this area are intermixed with other legal points that affected them so we do not have a pure example that indicates how Kavanaugh will vote. Only time will tell us what justice Kavanaugh means for immigrants as a member of the Supreme Court. PROUDLY POWERED BY SOL DE MEDIANOCHE CO.